With more than 60 percent of its agents placing a home under contract each month in 2016, Keller Williams Greater Downtown Realty was Keller Williams’ highest producing office in the southeast region for a second consecutive year. The southeast region of Keller Williams includes 60 offices and over 10,000 agents in Tennessee, Georgia and Alabama – excluding the coastal region and Memphis but including offices in larger cities such as Atlanta, Nashville, Birmingham, Savannah and Knoxville. Nationwide, Keller Williams offices have an average productivity of 40-45 percent, while the industry average is 30-40 percent. This is based on the number of agents at the firm who get a home under contract each month. KW Downtown has carried its momentum into 2017. In February, two out of three of its agents were productive. Year to date, KW Downtown is showing a 17.5 percent increase from 2016 in the number of agents participating in a closed transaction. Comparatively, the Greater Chattanooga Association of Realtors’ Multiple Listing Service shows a 1.75 percent increase year-to-date in agents who have participated in a closed transaction. Training Magazine recognized Keller Williams as the top training organization among all companies – real estate and otherwise – in 2015 and again in 2017. The KW Downtown office offers a monthly calendar with daily training opportunities designed to prepare both new and experienced agents. 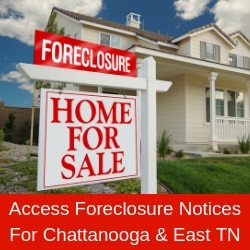 Information: www.kwchatt.com or (423) 664-1900.